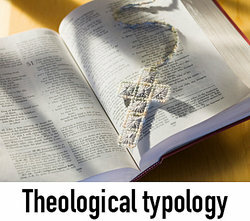 The term typology refers to the study of different types. Typology can be used across all industries and disciplines including theology, anthropology, archaeology, linguistics, psychology, politics, education, medicine, farming and more. Typology most often classifies people or things by certain commonalities or classifies them by certain differences. Using typology helps researchers and others to better understand certain conditions or factors. For instance, the evolution and nuances of language can be better understood when approached by looking at various similar language with common traits rather than by broadly attempting to compare and contrast all languages simultaneously. Sociopolitical typology - Developed by Elman Service, this is the study of the four types of a political organization. The four different types include the "band," "tribe," "chiefdom," or "state." Morphological typology - Created by Friedrich von Schlegel and August von Schlegel, this methodology through which language is classified based on the combination style of morphemes within the language. The main two categories are analytic and synthetic languages. Milewski's typology - This is a classification system associated with language created by Tadeusz Milewski, dividing languages into 6 groups based on syntactic relationships. Farm typology - The USDA's means of classifying farms, dividing them into eight groups including: non-family farms, farming occupation/high sales, farming occupation/lower sales, residential/lifestyle farms, retirement farms, limited resource farms, large family farms and very large family farms. Sasang typology - Medical typology traditional within Korea create by Lee, Je-ma dividing people based on Greater Yang, Lesser Yang, Greater Yin and Lesser Yin. Architectural typology - Using traits of buildings or spaces in order to classify them. Theological typology -the study of relationships of those in the bible, particularly in the Old Testament, and the type of Christ that their behavior embodied. Oakeshott typology - Developed by Ewart Oakeshott, this typology classifies swords that existed in medieval times, particularly from 11th to 1th centuries. There are nine categories of swords. Understanding typology is important if you wish to conduct research and if you wish to use different systems of classification in order to understand how things relate to each other. "Examples of Typology." YourDictionary, n.d. Web. 23 April 2019. <https://examples.yourdictionary.com/examples-of-typology.html>.